How would it be if for a day you were told to give up on what you usually wear and adapt to some one else's culture and do as they do? If you ask me, the experiment would end up making you realize what all you have been missing out, while sitting in the confines of your geographic walls. I have been trying to experiment with different styles from different cultures since some time now and it has made my wardrobe very eclectic. While I was on this I came across someone from Calcutta who does something I had never known. Imagine wearing a new garment that is made out of something you had completely given up on? Would you consider laying your hands on it again if it looked even more beautiful than it did when you gave up on it? KSR clothing, by Karishma Siddique Roy is a stylish ode to mother earth and the environment. 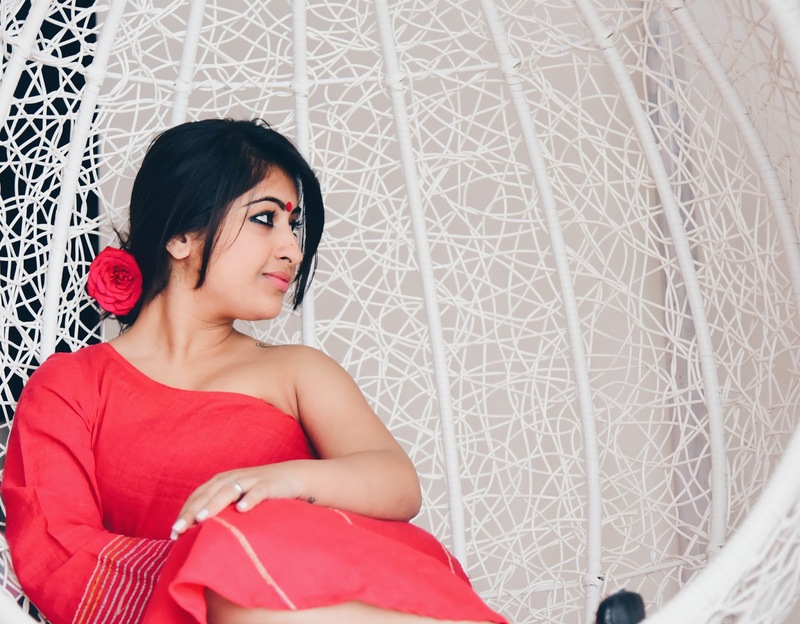 It promotes the eco-conscious aesthetic of Recycle, Reuse, and Reduce through its commitment to work with 'Khesh', which is a brilliant, indigenous weaving technique that recycles and reuses old cotton sarees to create new fabric. 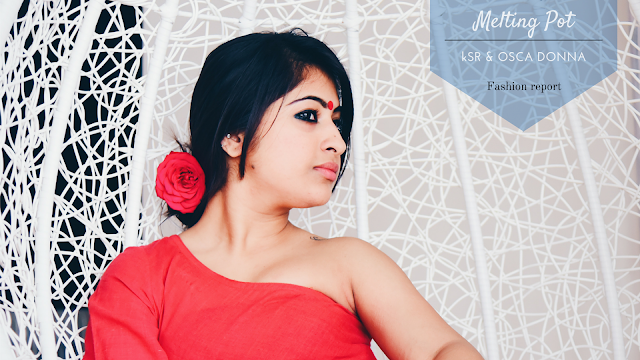 KSR promotes indigenous hand-looms and craftsmanship and works with artisans and weavers in West Bengal. 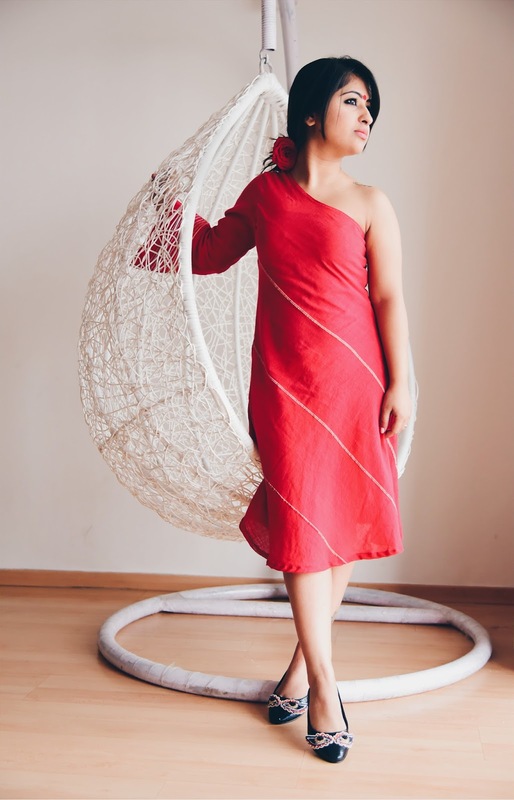 Using hand looms and khesh, KSR seeks to present traditional Indian weaves in a global context. The garments feel and fit like your second skin and compliment Indian skin tones and weather. Melting Pot, a metaphor for a heterogeneous society, the different elements "melting together" into a harmonious whole, thus bringing together Osca Donna only made perfect sense. 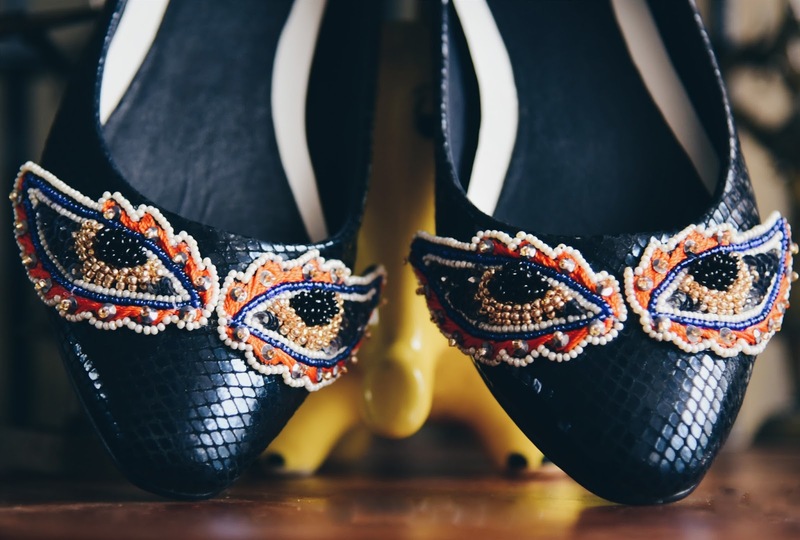 Benita the beautiful leather black ballerinas take their inspiration from the Mexican culture and the festival 'Día de Muertos' or 'The Day of the Dead'. 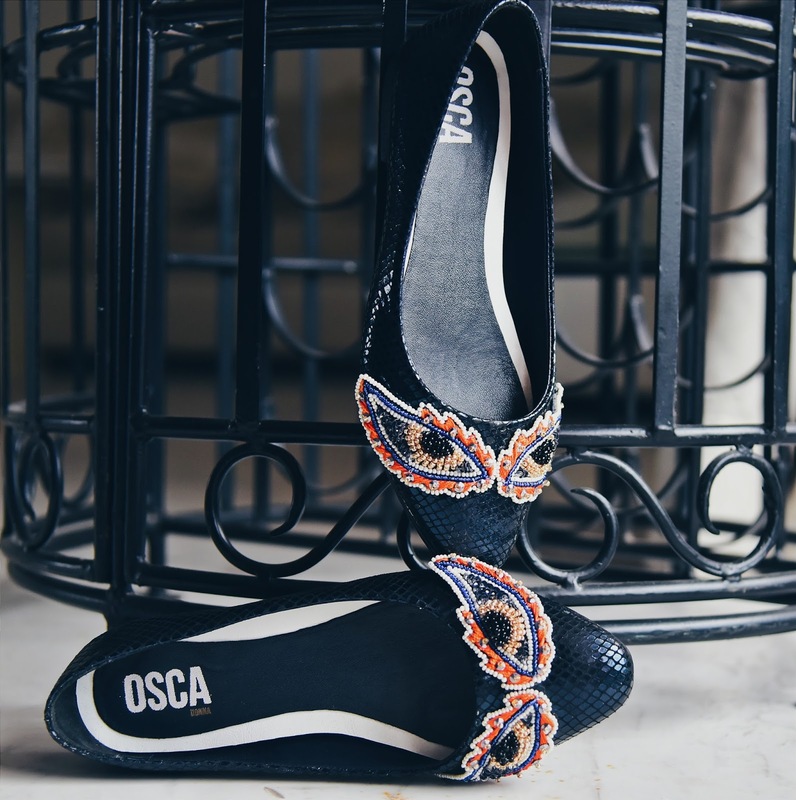 Our friends at Osca Donna have used traditional hand woven Mexican fabric and Mexican beads for embroidery mixed with 'resham' threads and leather with tassles to capture a small essence of the joy in ceremonial display of the Mexican culture. With the launch of their new limited collection they have kept styles simple to draw focus on the details and elements drawn from the inspiration. 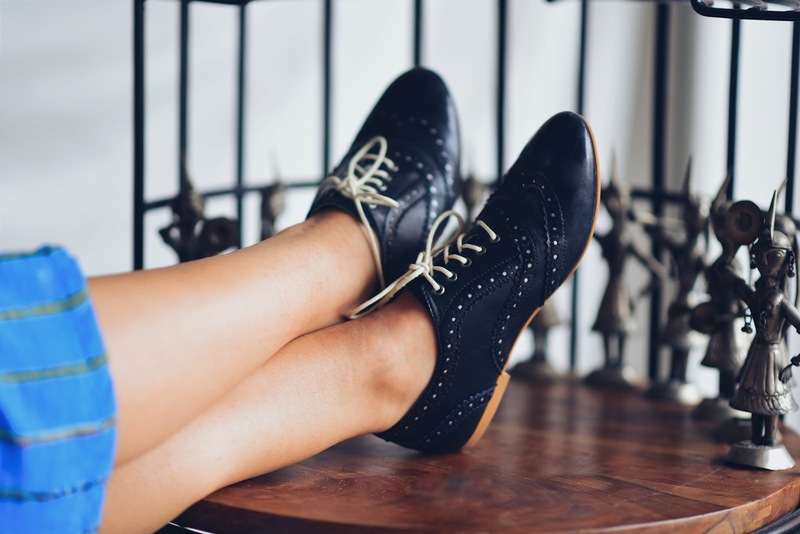 I shy away from wearing anything closed apart from my favorite oxfords when it comes to flats. Being blessed with long thumbs, shoes made in India don't usually fit me well, but I was pleasantly surprised with the fine sizing of Osca shoes. They let you pick your size according to their size chart very efficiently so the shoes that are tailor made fit you perfectly. So next time you want to add something to your wardrobe, consider what all you could be missing out on by choosing to wear only fashion that you see around but instead give a chance to fashion which not only brings something fresh but is also making a difference. Great compilation of fashion essentials. Style blogs who effortlessly layer and match but you want to do it without spending a ton of cash.